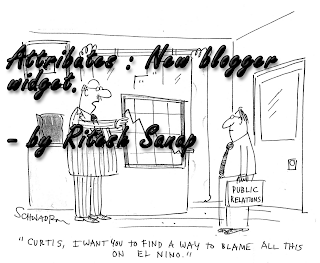 As Now a days blogger is upgrading with all new stuffs . for the bloggers who use blogger. always while using blogger many people want their site to look professional . So they don't put the word "by powered by blogger" because blogger is simple and some people feels ashamed while using because of it cheapness and Simple stuff. Like not have much powerful control like wordpress platform. So to get rid of all this problems and to increase bloggers rating or to bring it more in-front blogger made a new widget which is not yet launched officially . 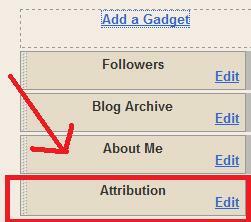 Its Name is "Attribution" the widget puts an simple text of powered by Blogger . 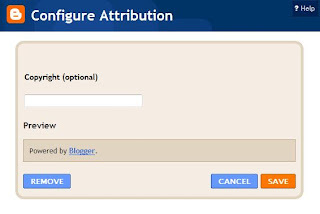 This Widget can also be used to write our copy rights or disclaimer without going in the Edit HTML page. How I found this widget ? It was just a little coincident that we met each other. I was converting a new blogger template to share with all of you. After creating the blog i went to page layout and then pick template section. after picking an Minima template. I returned back to page layout page and then i found it their. 100+ Best Online Games - Who Else Wants to Play ?